Wendy E. Moore serves as the Associate Director for Collection Services for the University of Georgia School of Law's Alexander Campbell King Law Library. Joining the library staff in 1999 as the acquisitions librarian, Moore serves as the head of the Acquisitions/Serials Department and in this role oversees the acquisition of all library research materials, the processing and updating of serial publications, the binding of materials, and the fiscal management of all library materials expenditures. In addition, she serves as the chair of the Law Library Collection Development Team which oversees the long-term collection policies and the selection of materials for the law library collection. Moore also serves on the Library Systems Team, the Library Facilities Team, the Acquisitions/Cataloging Team and the Law Library Steering Group. Moore began her professional career as the serials librarian at Furman University's J.B. Duke Library in Greenville, S.C. She earned her bachelor's in history at Gustavus Adolphus College in St. Peter, Minn., in 1991 and her master's in library science from the University of North Carolina at Chapel Hill in 1993. 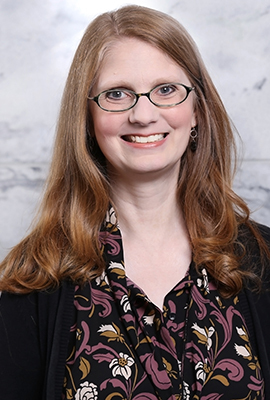 Moore is involved professionally with the American Association of Law Libraries, currently serving as the vice chair/chair-elect of its Recruitment to Law Librarianship Committee and serving on the executive board of the Technical Services Special Interest Section. She is also active with the Southeastern Chapter of the American Association of Law Libraries, the North American Serials Interest Group and the Georgia Library Association. She has recently presented at the AALL Annual Meeting & Conference, the Georgia COMO annual meeting and the Georgia Institute of Continuing Legal Education's program on Internet Legal Research.